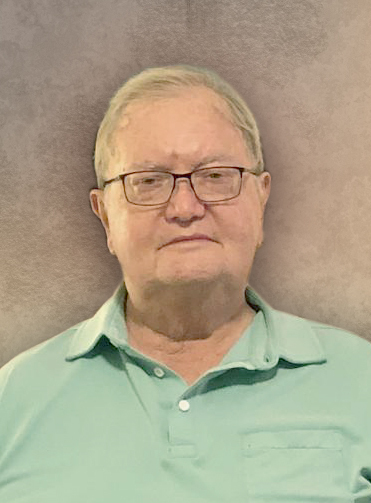 William Lester "Bill" Winslow of Mesa, Arizona passed away on Monday, February 11, 2019 at his home with his wife, son, and daughter at his bedside. Bill was born in Kirksville, Missouri on December 21, 1939, the son of Raymond and Evelyn Clark Winslow. He was united in marriage to his wife of 57 years, Norma on June 18, 1961 in Lexington, Missouri. Bill grew up in Kirksville, Missouri, graduating from Kirksville Senior High with the class of 1957. After graduating in 1963 from the University of Missouri-Kansas City School of Pharmacy, he moved back to Kirksville where he became a partner with Woodrow Rider in Rider Drug, and later became business a partner with Don Poe. Bill is survived by his wife, Norma; daughter, Anita Stranglen (David) of Omaha, Nebraska; son, Dennis Winslow (Nancira) of Evansville, Indiana; sister, Sarah Stock (Wilbert) of Kirksville, Missouri; cousin, Marianne Farr of Kirksville, Missouri. He was lovingly known as "PaPa" by his grandchildren: Logan, Noah, Samuel, Eden and Niconnor. Bill was preceded in death by his parents; brother, Rufus Winslow; cousin, Harry Farr; and granddaughter, Whitney Winslow. Other survivors include nephews, nieces and cousins. Mayo Clinic of Scottsdale diagnosed Bill with ALS (Lou Gehrig's Disease) in 2008. Bill was a member of Kirksville Saddle Club, Lions Club, Jaycees, Adair Lodge #366, El Kadir Shrine Club, Missouri Pharmacists Association, and the Mesa Elk's Club. A former member of the First United Methodist Church of Kirksville, he was currently a member of the Velda Rose Methodist Church in Mesa, Arizona. A memorial service will be held at a later date in Kirksville, Missouri. In lieu of flowers, please direct memorials to Shriners Hospitals for Children or to the First United Methodist Church of Kirksville. Richardson Funeral Home, Tempe, Arizona is compassionately serving the family.